Rie Natalenko is a teacher, writer and textile artist. She has penned a book titled ‘Share Your Skills – An Ultimate Guide to Running an Art or Craft Workshop. 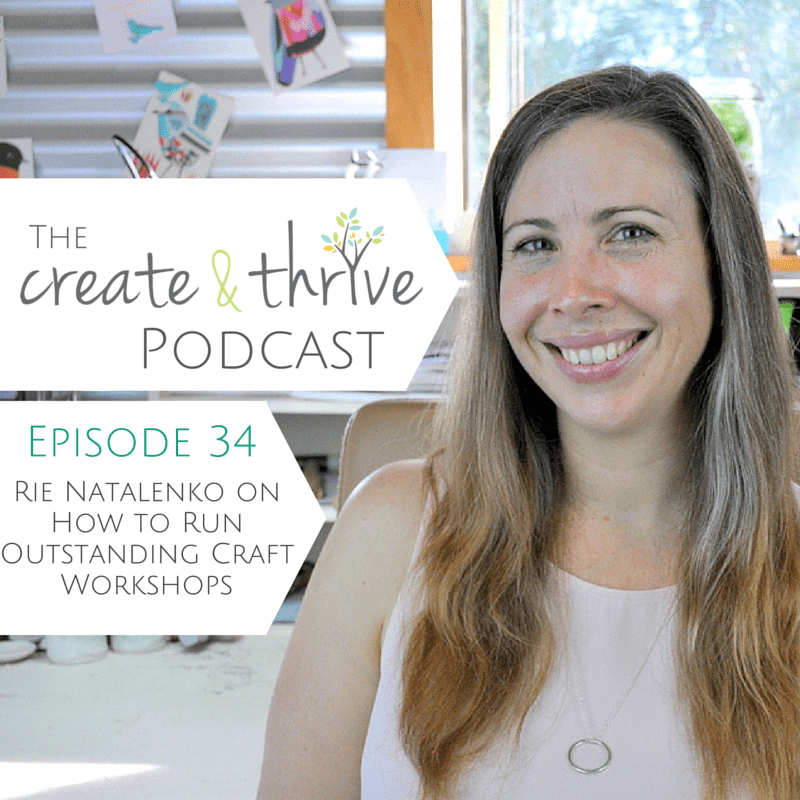 If you need the confidence to start teaching creative workshops or you would like to enhance your existing skills, then this episode is for you! Rie Natalenko is a Doctor of Creative Arts with Masters in Education and Teacher Training. She has written the book ‘Share Your Skills – The Ultimate Guide to Running an Art or Craft Workshop‘. Top 5 tips for running a creative workshop. Preparing for a workshop using the 90/10 method. Limiting the content by teaching the must knows. Recognise that adults learn differently to children. The importance of showing your passion. Planning your day to keep energy levels high. A great workshop can create positive word of mouth and future students. You can find Rie at her website or Facebook. Win one of 3 Digital Copies of Rie’s Book! Would you like to win a digital copy of Rie’s exhaustive guide to running awesome art/craft workshops? Rie is generously giving away 3 copies of her book to Create & Thrive Podcast listeners. And yes – this is open internationally! Entry closes next Wednesday, 5pm AEST. Winners will be announced in next week’s podcast post. Once you enter below, you’ll get a special ‘lucky link’ – and buttons to share the giveaway on twitter, facebook, and pinterest. Because for every person you refer who enters the giveaway… you also get an additional entry!